Books on Polish genealogy are another important element in developing your genealogy research skills. Polish Roots. Second Edition 2nd Edition by Rosemary Chorzempa and Going Home: A Guide to Polish American Family History Research by Jonathan Shea have proven to be reference volumes explaining many of the Polish documents that are available. Sto Lat: A Modern Guide To Polish Genealogy by Cecile Wendt Jensen and my book Polish Genealogy: Four Steps to Success present plans to logically do Polish genealogically research. The challenges of translating your Polish records can be reduced by using the glossaries found in Jonathan Shea’s book Going Home: A Guide to Polish American Family History Research and the series he wrote with William Hoffman In Their Words – Polish, Latin, and Russian. If you find Polish records in the narrative format, you will find A Translation Guide to 19th Century Polish-Language Civil-Registration Documents by Judith R. Frazin is an excellent user-friendly and practical resource. 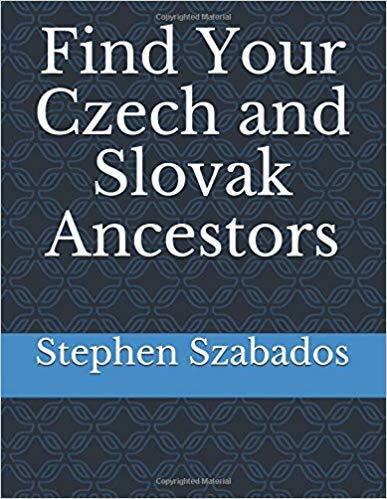 Go to my page Helpful Book on Polish Genealogy for more details and a list of more books. In a recent new release, MacKiev, makers of FTM, warn that the discounted preorder price ($29.99) for their new version is good only through July 14 and they will release FT2017 this weekend. This is good news for those who were waiting anxiously for the new syncing software and bad news for those that were planning on continuing to use their older versions. It is bad news for users who were not planning to upgrade because the announcement states clearly that the search and merge function in the older versions will no longer work. This function will only work in FTM2017. To sync with an Ancestry tree. (No other FTM editions will). 2. To sync two or more FTM trees with one Ancestry tree with FamilySync™. 3. To discover the crossed lines of your ancestors with color coding. 4. To fix faded old photos with our new Photo Darkroom™ tools. 5. To add a new free data source with FamilySearch integration. 6. To keep using Ancestry search and merge. (Older editions no longer will). My plans have changed due to this announcement. I had preordered FTM2017 but I was planning on delaying its installation until I was sure there were no comments from users about any bugs. Now I will install FTM2107 and only convert old trees to the new format as needed. I will convert the remaining trees after the dust settles for the rollout of FT2017. DNA testing has become a popular topic at genealogy meetings, and the growth in the number of DNA tests has been fueled by numerous promotional sales and promises to unlock secrets in your genealogy research. In some cases, DNA results have been powerful in producing clues and knocking down brick walls, but in many other cases, the results have been confusing. They were curious about their origins and ancient ancestry. They were hoping to find matches and possible distant relatives to exchange information. They doubted their paper trail and wanted to prove or disprove their oral history. They wanted to test relationship theories. These tools led me to a secret portion of my ancestry that one of my ancestors took to her grave. However, I opened this new side of my ancestry by identifying a dark secret. So be prepared. If you have to unlock secrets, there may be a dark side that you may regret discovering. In summary, I would recommend taking the Autosomal test offered by Ancestry.com or FamilyTreeDNA.com. Take Y-DNA and mtDNA tests only if you need to explore specific relationship theories. Your results will probably be very generic and match your paper trail. If your DNA results do not match your paper trail, you may have some secrets to uncover. If your results have matches that project as first or second cousins, contact them because you may have an exciting new source for family stories and pictures of common ancestors. Just have fun exploring your family history and heritage. Remember to save and pass along what you find to your children, grandchildren, and future generations. It is important for us to save our memories for future generations, especially for parents and grandparents, because writing down the stories is a great way to personalize our family history narratives. Below are a few of the memories of my grandmother that I included at the end of my narrative for her. Using the first-person voice seems to bring the memory more to life. We need to think about our ancestors and the memories we want to pass along to our children and grandchildren. We need to write them down and save them, so they will not be lost. If not us, who will do it? Tree Syncing with Ancestry.com family tree seems to put stress on Ancestry’s servers. If MacKiev and Rootsmagic both go live with syncing this problem will get worse. The concept of constant syncing with our online trees has attracted many users lineage software as a great tool. Saving Ancestry results to our family tree provide the researcher with a convenient place to store research. The tree could be online at Ancestry or offline on lineage software such as FamilyTree Maker(FTM). I believe that this dynamic drove the popularity of FTM. The addition of TreeSyncing added to the popularity of FTM. Researchers who had family trees on Ancestry and offline lineage software had to decide which was their primary family tree to be maintained and updated with current information. Tree syncing allowed researchers to use their smart devices to search and save information to their Ancestry trees without overtaxing the memory of their devices. Ancestry would then download the new information to FTM, and both family trees would be current. However, there were complaints of problems with the sync, and Ancestry chose to discontinue FTM rather than solve the problem. They quickly sold FTM to MacKiev who promised to continue support and updates for FTM. However, yesterday’s stress test by MacKiev of their new version of FTM indicates Tree Syncing may push the limits of the online servers at Ancestry and make the connections unstable. If Tree Syncing endangers the functionality of the databases on Ancestry.com, should it be part of lineage software? Hopefully, hints, search, and merge with Ancestry.com databases will be allowed to continue because these are also useful functions and do not overtax the Ancestry.com.